Manufacturer of a wide range of products which include x-ray protection aprons, lead aprons, frontal lead apron and double sided radiation protection apron. 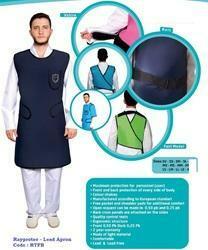 The Lead Apron available with us is same as per Image. We have whole range of lead apron with us in stock. Before buying Lead Apron kindly confirm what material is used inside. Don't just go for Lead apron base on price. Our Lead apron in vinyl base with 0.5mm pb equivalent. Most Lead Apron available in Market is Rubber base or with lesser Lead equivalency. We have whole range of Lead Apron in stock. Keeping in mind the emerging needs and requirements of our clients, our experts are engaged in providing an enormous range of Double Sided Radiation Protection Apron. 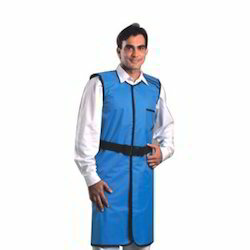 This protection apron is manufactured using high quality basic material and modern machinery keeping in mind the international quality standards. The offered protection apron is checked on various quality parameters under the supervision of our quality experts.